Negotiation is a critical skill needed for effective management. 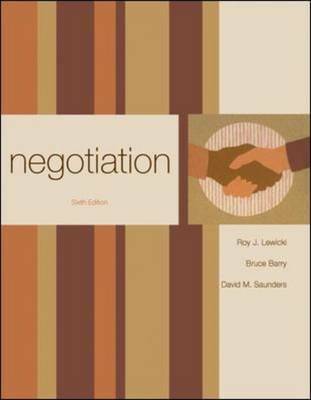 "Negotiation 6/e" explores the major concepts and theories of the psychology of bargaining and negotiation, and the dynamics of interpersonal and intergroup conflict and its resolution. It is relevant to a broad spectrum of management students, not only human resource management or industrial relations candidates.